Let’s see what Alex has up his sleeve tonight, shall we? Welp, this is happening again. 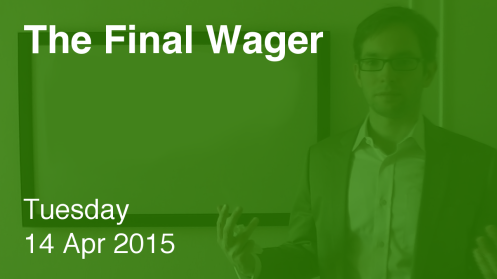 I fully expected that Alex had wagered $0 – particularly after I saw his response. I really have no idea how to read him. Who are Bill Clinton (born William Jefferson Blythe III) and Gerald Ford (born Leslie Lynch King Jr.)? The staff definitely got this one wrong. Barack Obama’s original surname is Soetoro. That is a total lie circulated by birthers and thoroughly discredited.